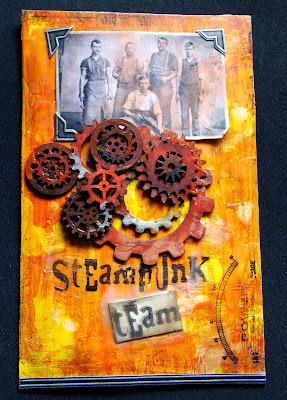 If you haven't already checked out the makes from team A, you will find them over HERE (alongside the inlinkz collections where you can enter your creations to). Our challenge is open until the end of the month and we will announce the prize winner and Top3 on 11th April. To get to the blogs of our teamies just click on their names. And I am sure you will make their day by leaving a short comment letting them know you saw and liked their efforts! For a larger view click on the images. This happened to be one of those lovely times where you sit down to play with ink and paint and the creation just grows without any plans - other than following the challenge guidelines and wanting to use one of the Found Relatives portrait cards for the first time, I really had no idea where to go with this. I LOVE it when creating is like this! Hi everyone I am super excited to be here with my first project for the blog. 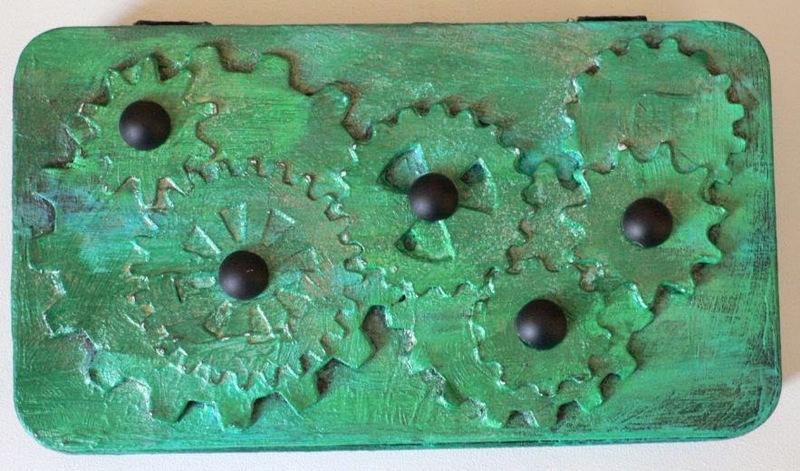 I love cogs so this challenge is brilliant for me. I used a brayered background that I had and then as always it just took off on its own and this was how it ended up. 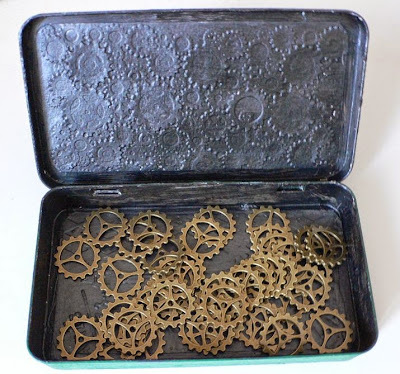 I love metallic's be it paint wax's etc, rust fascinates me the colours can be stunning, clocks most of my art will have a clock or compass on it. you all like my first project please let me know what you think. What would steampunk be without gears and cogs? A truly inspiring theme! 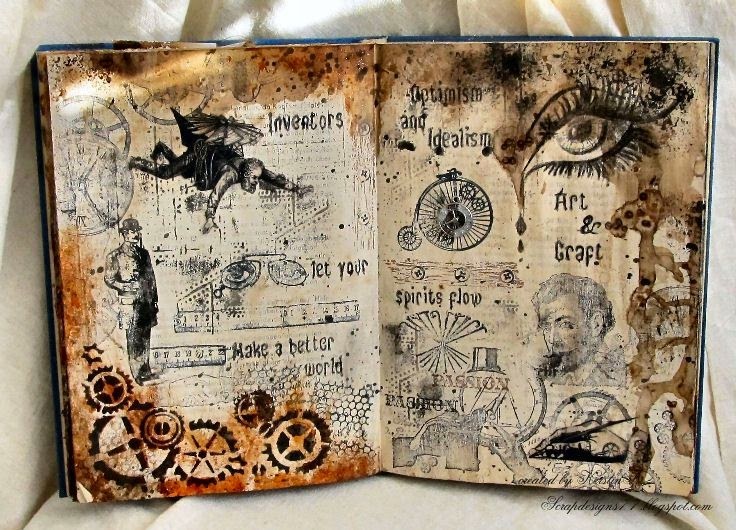 Therefore the steampunk theme of course had to find its way into my favourite art journal book. Hello and welcome! This is my first Design Team piece and I am very excited to share it with you all. 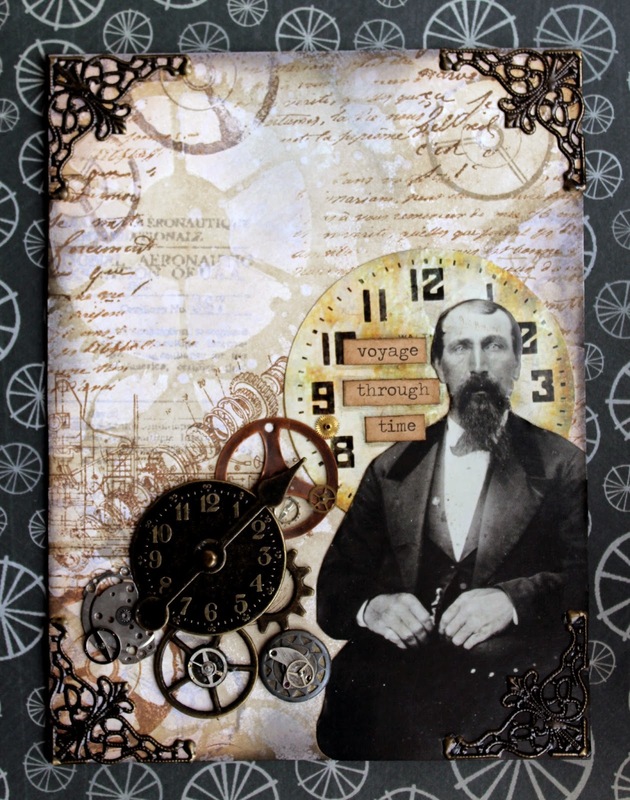 To me, Steampunk has a sultry side and I try to incorporate color into my Steampunk works when I can. There are many techniques and layers to this piece so, if you would like to "see" the process check out my blog. Carpe Diem! 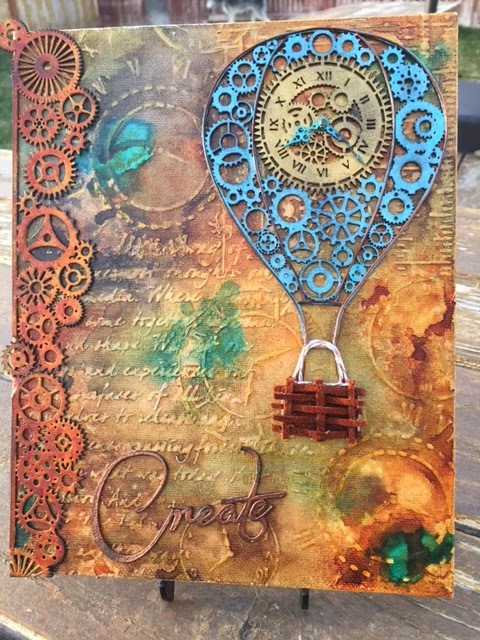 Actually all I had to do to create this project was really "gear up" a paper scrap. The ghostly image of the top hatted gentleman is a left over from cleaning a stencil (thus wiping the residue of black paint from the stencil onto the sheet of paper underneath) and I am sure I never would have achieved that wonderfully smudged look if I had been aiming for it! Happy accidents - I just love 'em! Let me send a big MWAH! to you all! 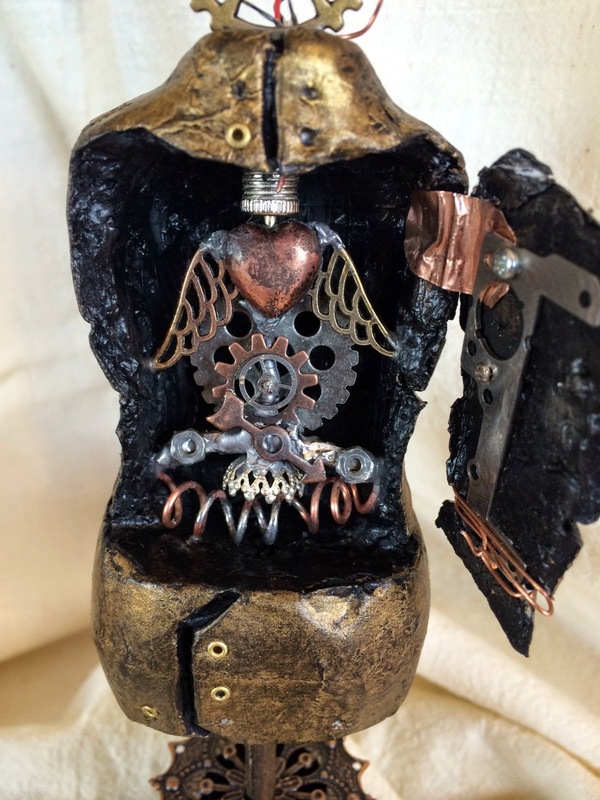 We would love to see your geared up creations being shared with us soon! Click HERE to get to the challenge. Servus and welcome to the presentation of our Top votes and prize winner from the February challenge! We decided to vote the Top3 from both collections together this time as there weren't too many entries....yeeees, I admit - the challenge was a tough one....but I think our players have all risen up to it and can be very proud of their fab results! They really looked stunning and choosing was as always hard! And - as results showed - we had several projects the team liked equally...so we ended up with a Top4 this time. Gosh! These makes really blew us away! Huge congrats to our fab winners! Please, feel free to grab the badge for display on your blogs! 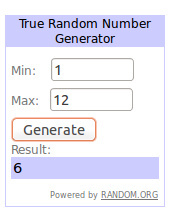 And now to our prize winner. Our actual challenge "Gear it Up!" can be found HERE and if you check back on 15th March you will be provided with another bundle of inspiration by team B (including the rest of our fab newbies! Yay!). We will also announce the sponsor for our March challenge on that date. So make sure you hop by and find out! 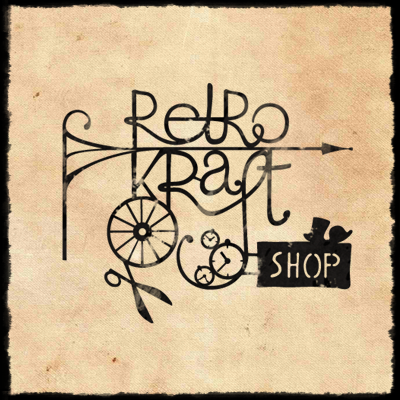 Servus and welcome to the start of our new challenge for March, dear Steampunk friends and creating minds! Last month's challenge was a tough one and our players who bravely dared leave some "unfinished" looking areas with their projects can be so proud! Our Top3 and the prize winner will be announced next Saturday - so don't miss to check back to find out if you are one of them! And - if you haven't heard the news yet - our fab new DT members will share their first projects with us this month (some of them with team A today and some with team B in the mid-month reminder post)!!! So watch out: there will be even more inspiration for you from now on! Get to their blogs by clicking the names above the images. To look at a larger version of the projects images click the images. I am so excited and honored to share my first project with all of you! 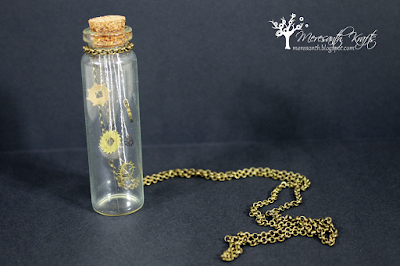 You never know what may pour out of an overturned bottle in Steampunk land! I do enjoy playing with gears and cogs and bits of metal, and you can often spy them in my work, so my challenge was how to focus on them? 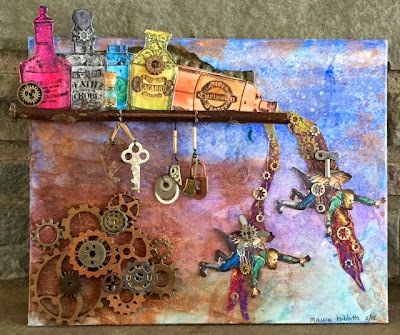 My imagination ran wild in creating this mixed media canvas. I had a vision of a bottle overturning on a shelf and pouring out everything needed to make a machine, thus creating these flying machines.The rest of the ideas just poured in from there - oh I do love steampunk! Hi! 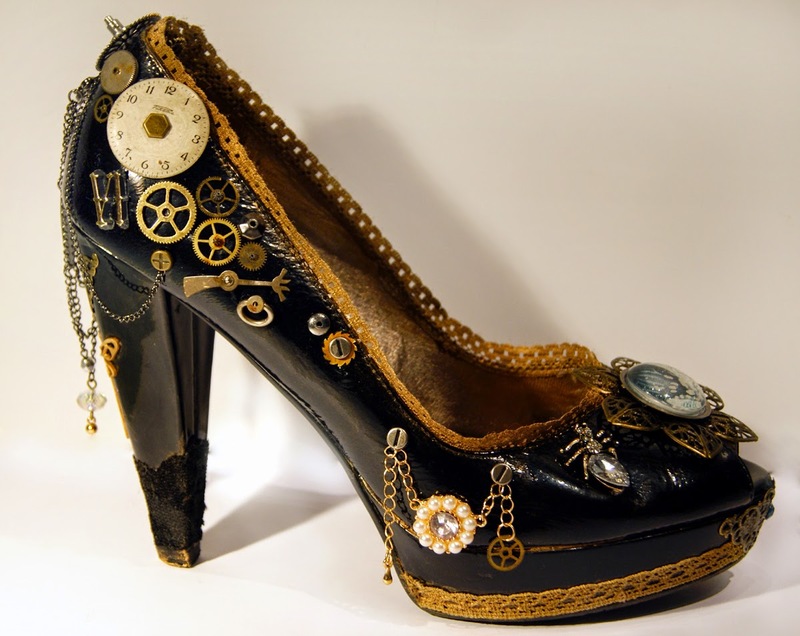 It's my first work for DT, I was so excited creating this altered peep toe shoe with cogs, gears, screws, chains, metal filigree elements and glass beads. I like alterations, steampunk can manage and helps me to do them. Maybe it's not full of elements as I've used to do as far but I wanted something more simple and to make every element clear. and inside......... guess what ? This time I decided to gear it up... minimalist style. 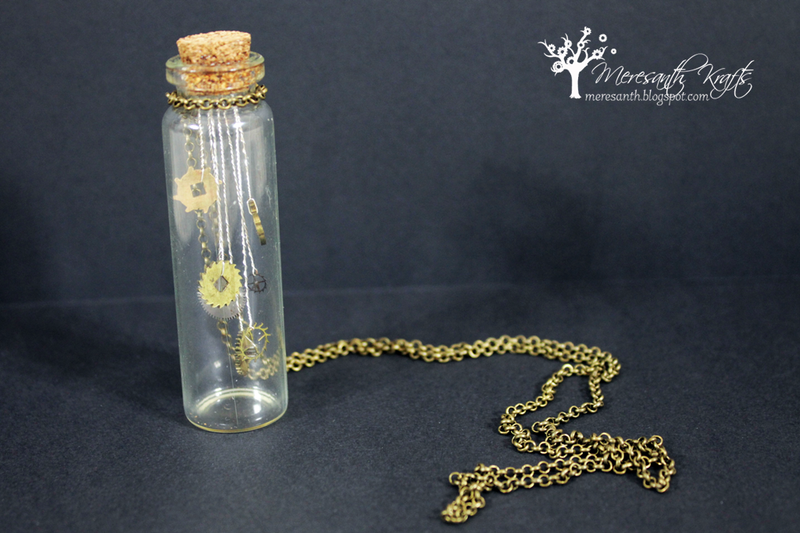 :) I made a necklace with a pendant made from a bottle filled with 'raining gears'. I attached them to the bottom of the cork using thin wire. 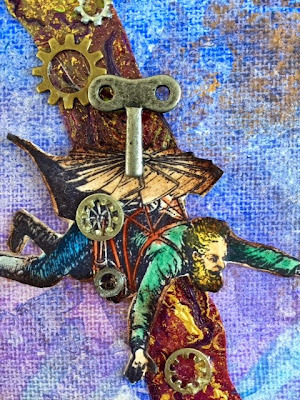 It's like a little bit of gear magic trapped within glass walls... Take a closer peek on my blog. So let us see those gears by joining in our challenge! 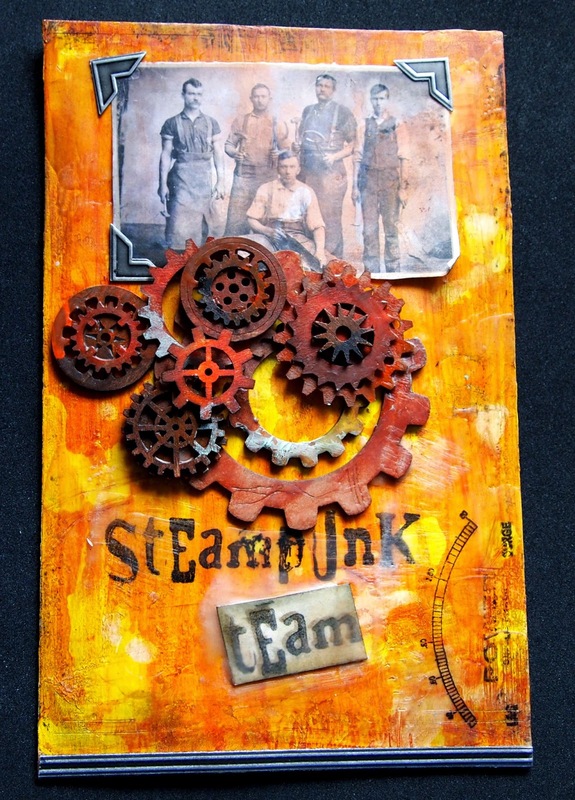 We would love you to share some of your fab steampunk art with us again! The challenge will be open until the end of the month (and we will reveal the prize sponsor for this month along with the projects from team B in the mid-month reminder post on the 15th) - so there should be enough time to create and have fun. Please, make sure you enter your projects to the according inlinz collection - depending on whether you have created a two-dimensional (2D) or three-dimensional (3D) project.